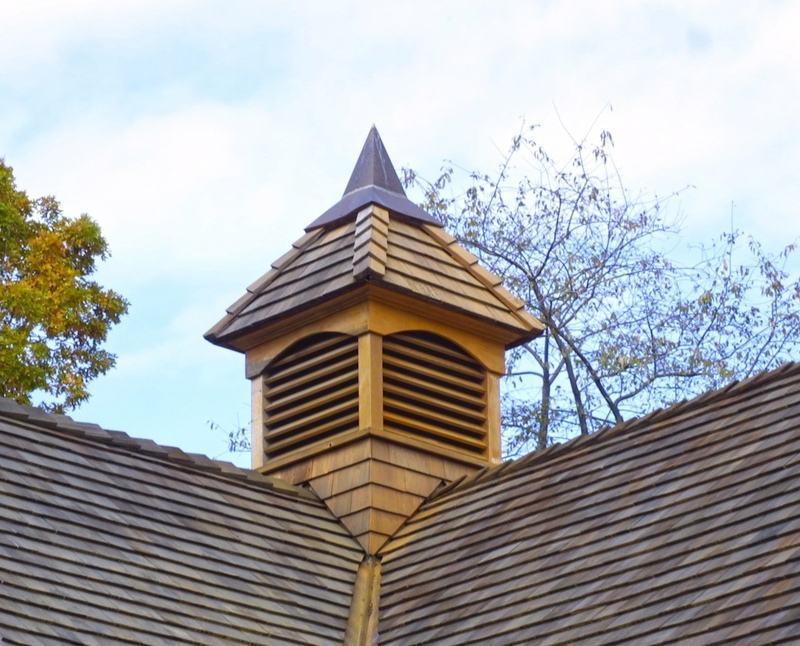 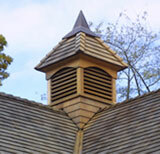 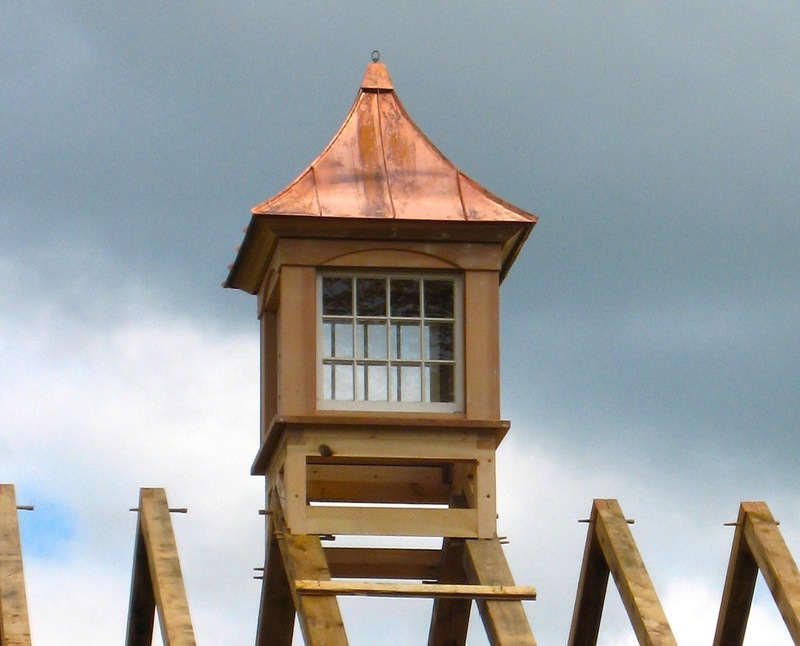 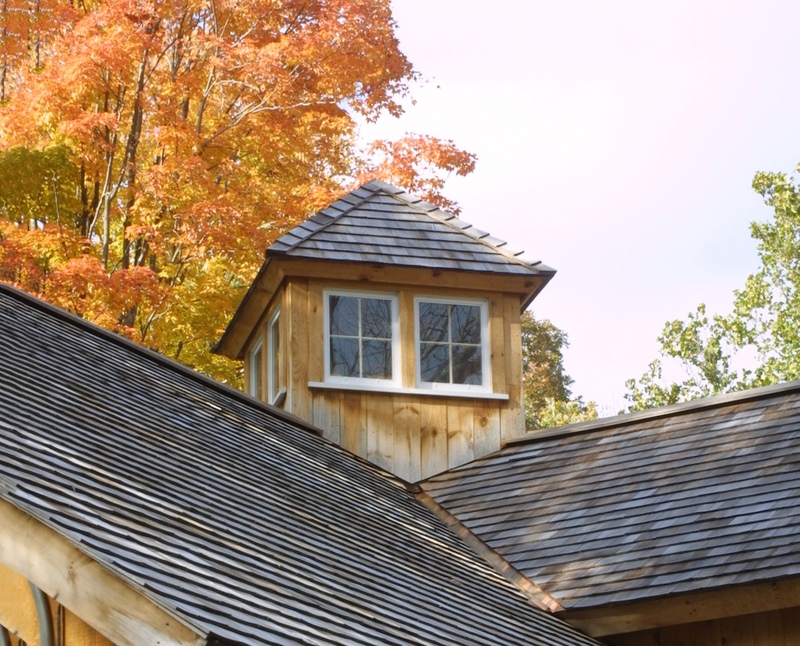 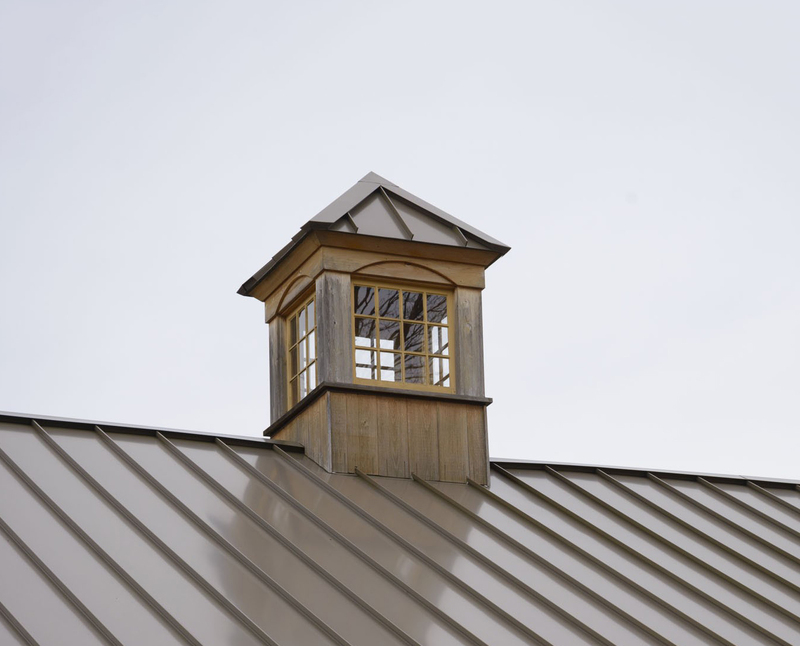 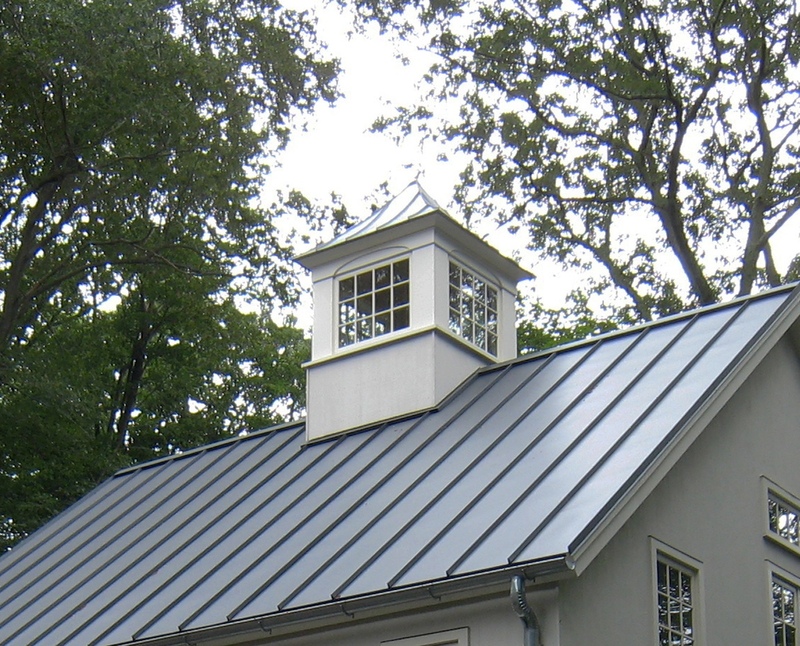 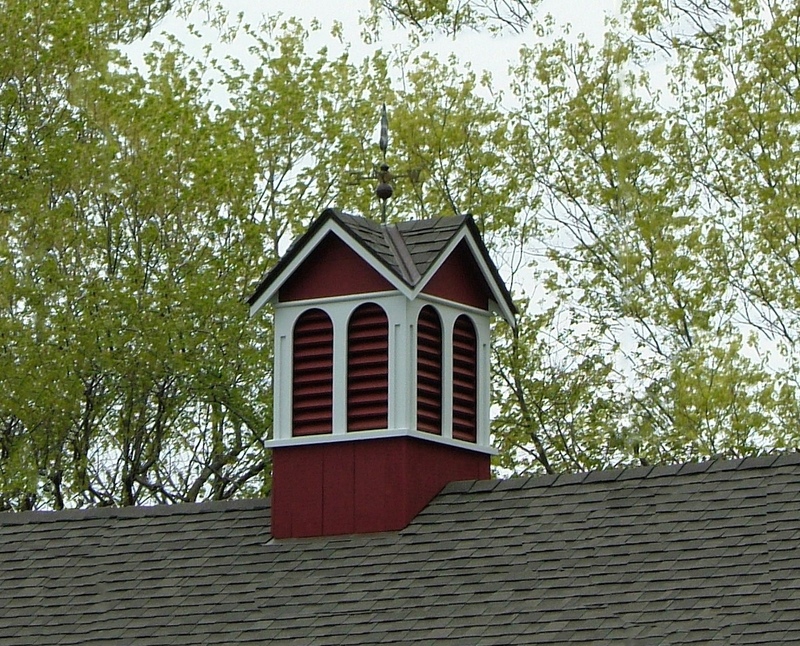 Very early barns had no roof ventilation but by the mid-nineteenth century the value of ventilating the barn became apparent and so did the variety of Cupola designs. 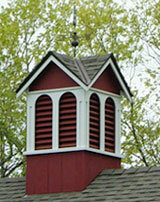 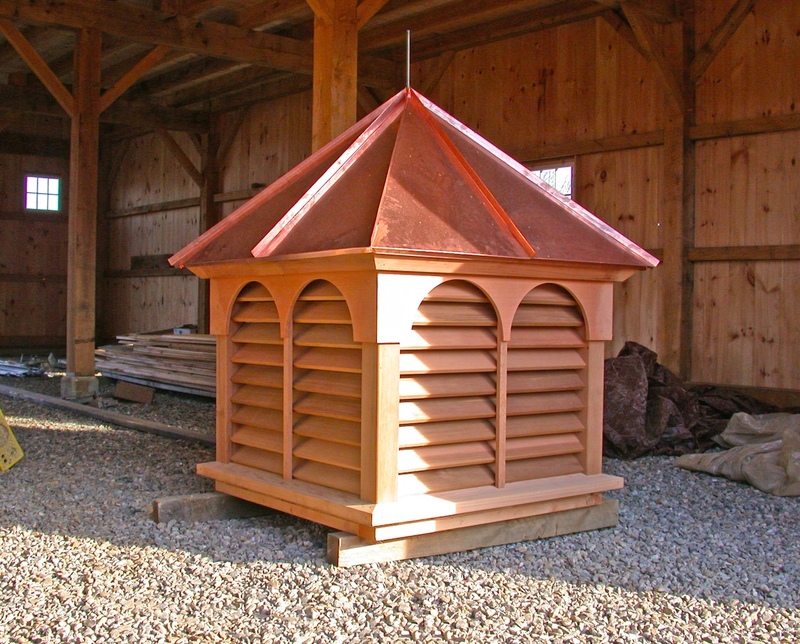 Simple barns were often adorned with ornate cupolas as farmers chose to architecturally express their individuality. 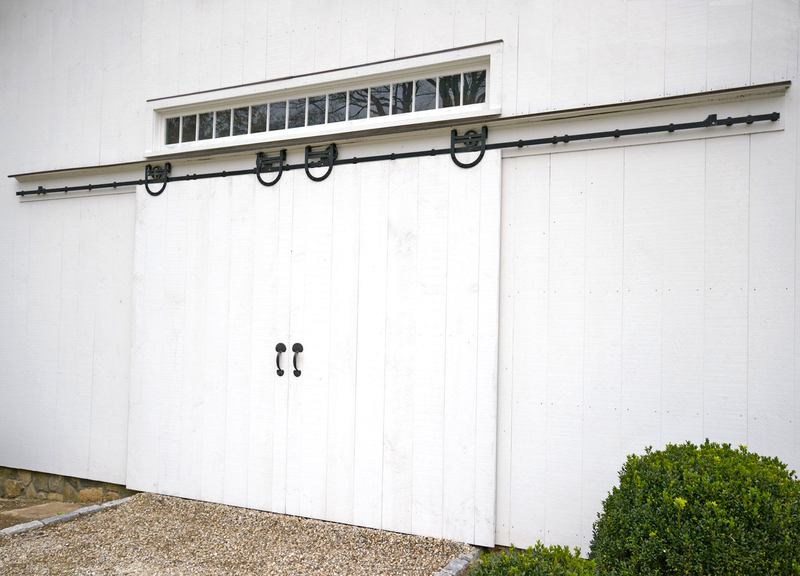 Prior to 1850, most barns had large swing out doors that opened onto the main (center) bay, preferably on a southern exposure. 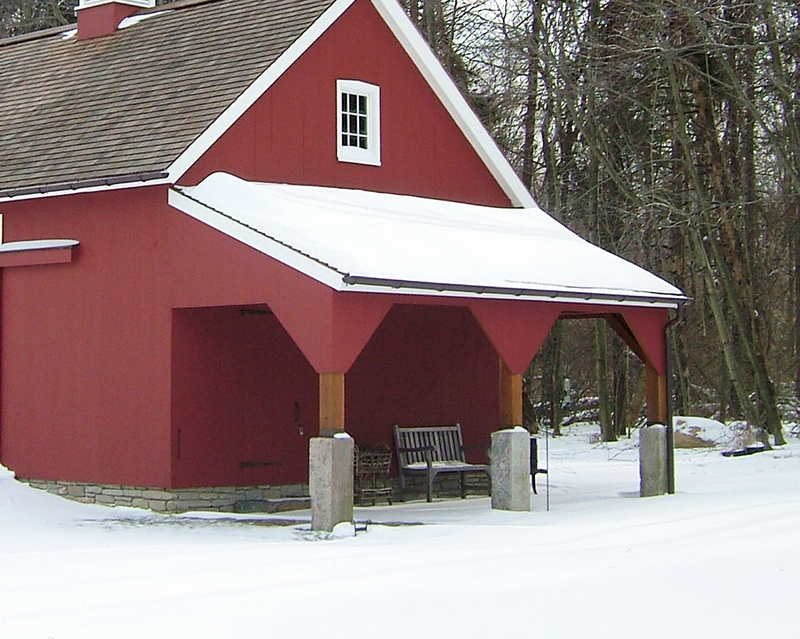 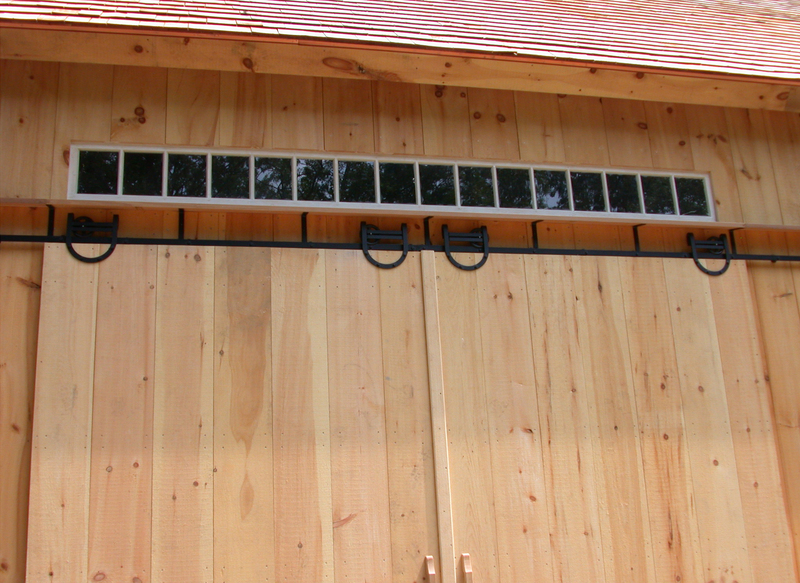 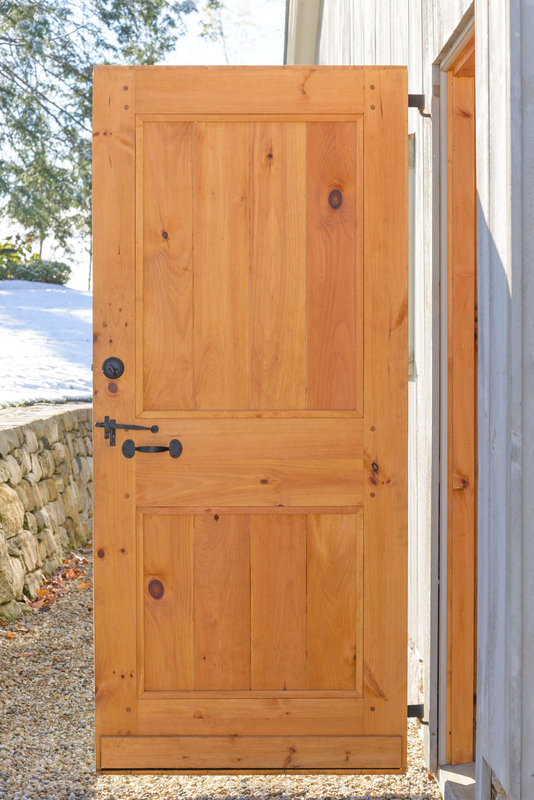 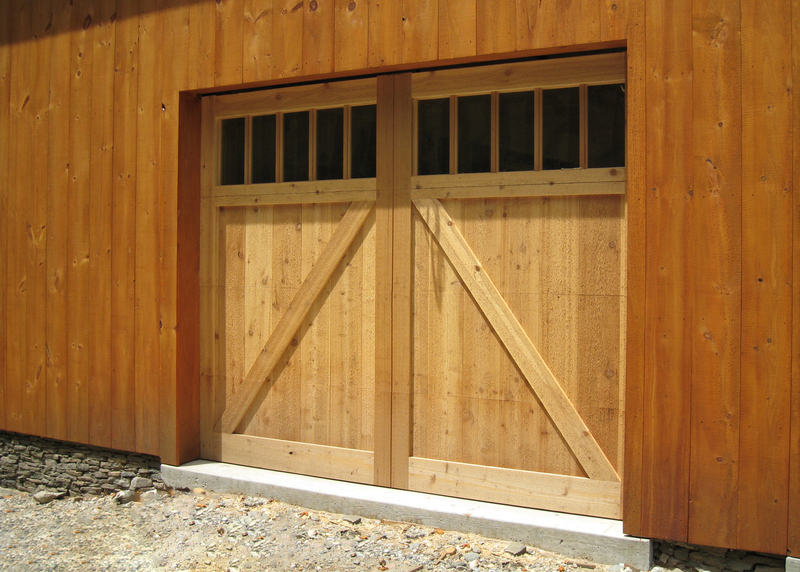 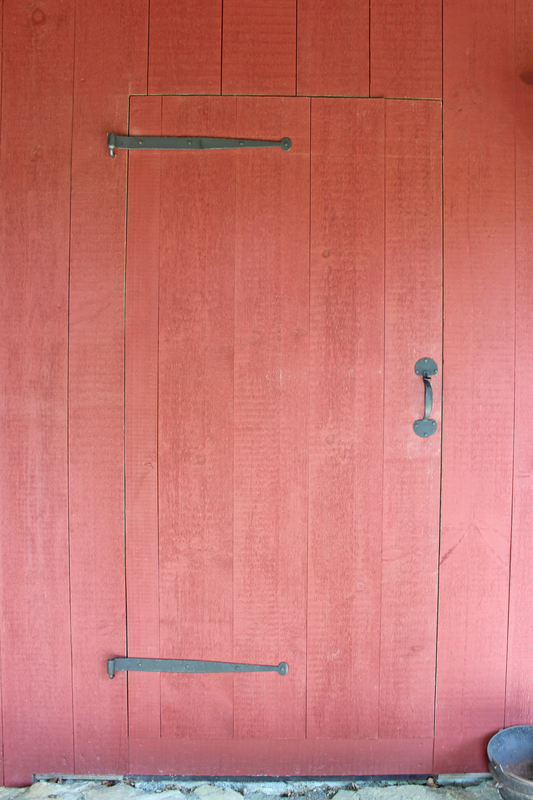 The sliding barn door was introduced in the 1840's and this made barn access much easier during windy or snowy weather. 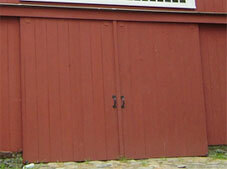 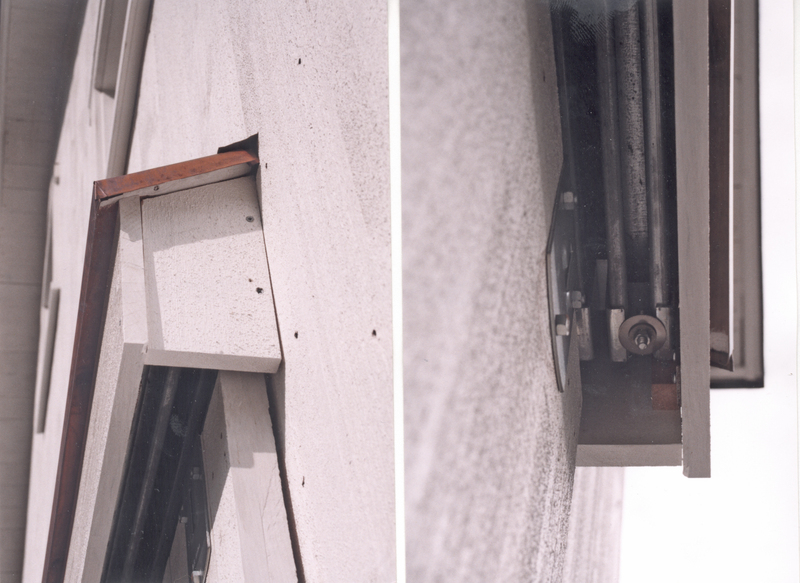 Sliding door tracks were often covered with "hoods" to shelter them from rain, snow, and ice. 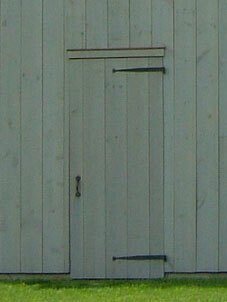 Smaller "man doors" were added (sometimes within the larger door) to allow easy, quicker entry. 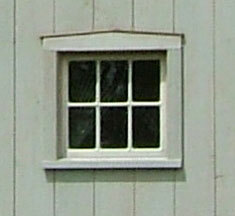 Barns of the 17th and 18th centuries had few windows if any. 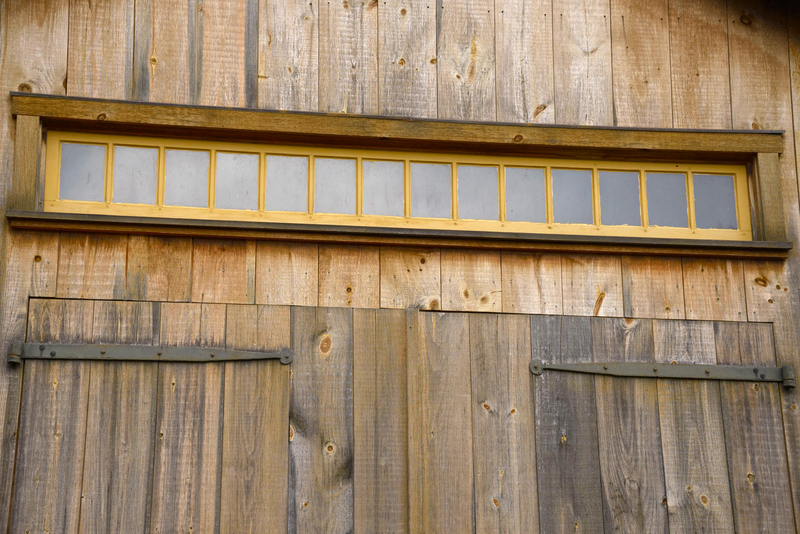 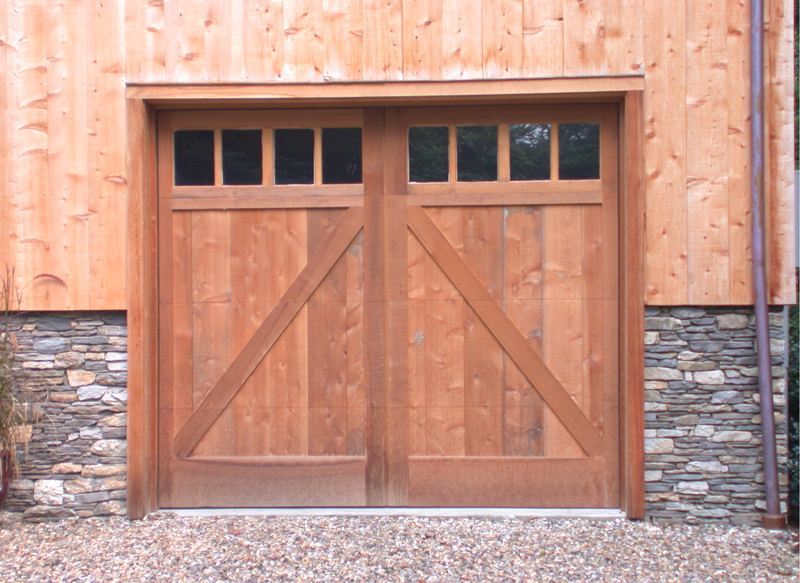 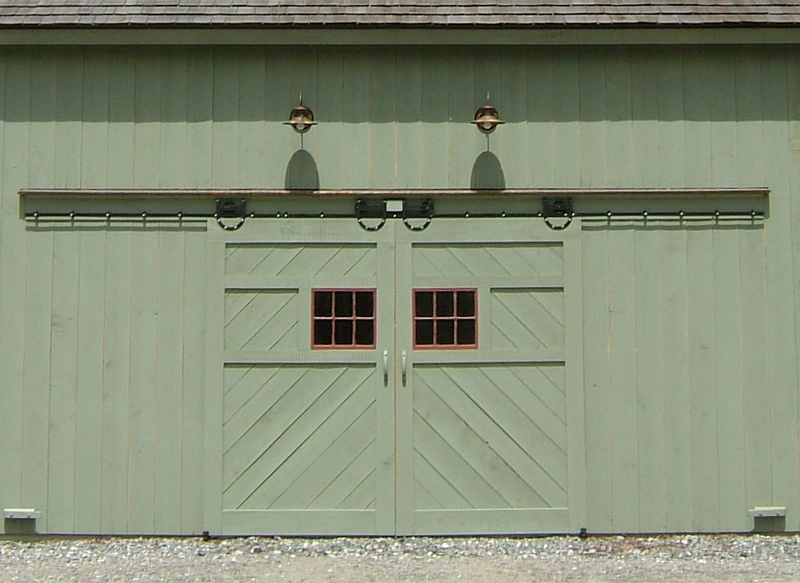 By the early 1800's, farmers began to incorporate Transoms over the large barn doors in order to allow in light without having to open the doors. 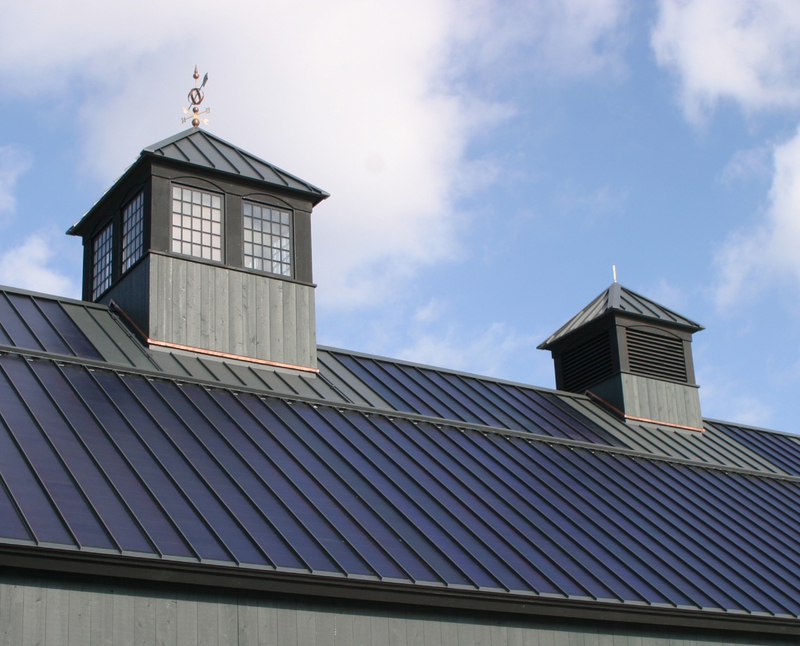 By the 1840's, small 6 light windows installed in the cow and horse stables became increasingly popular as farmers came to recognize the health benefits of light for their herds. 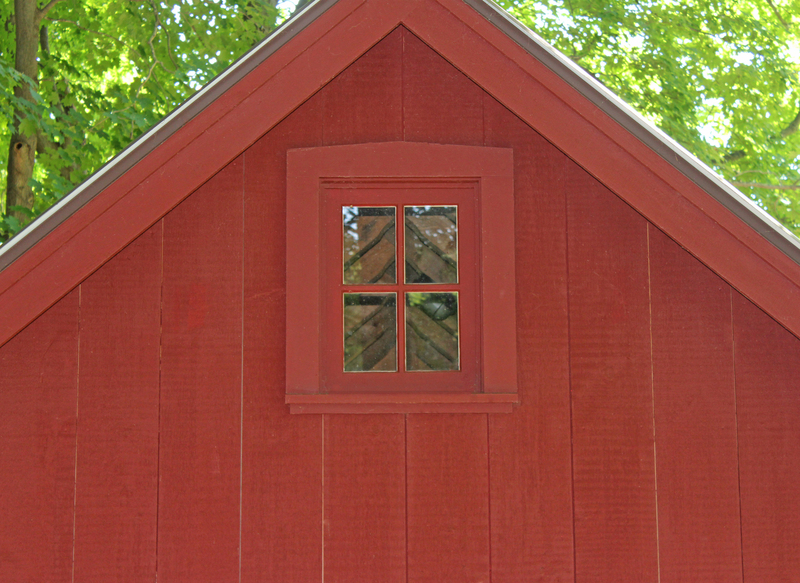 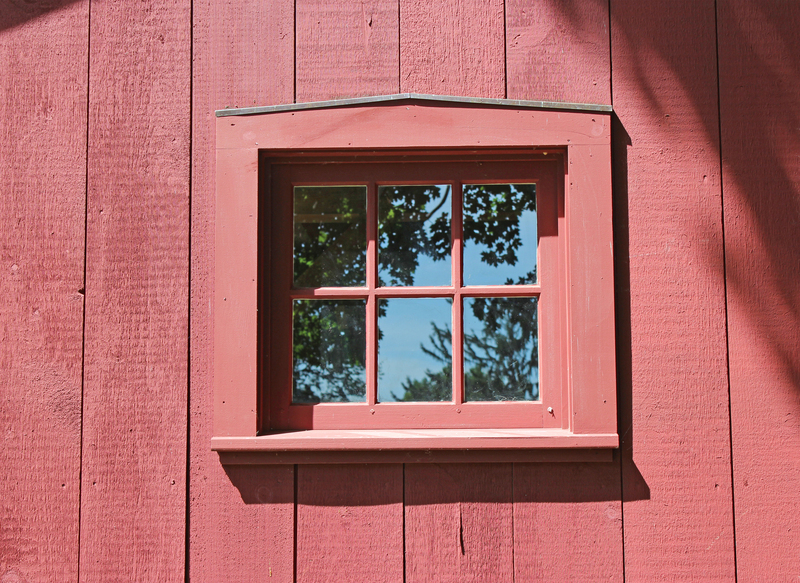 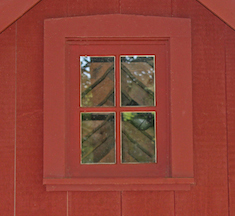 Later, double hung windows became popular- many times these were salvaged from house renovation projects and installed in the barn. 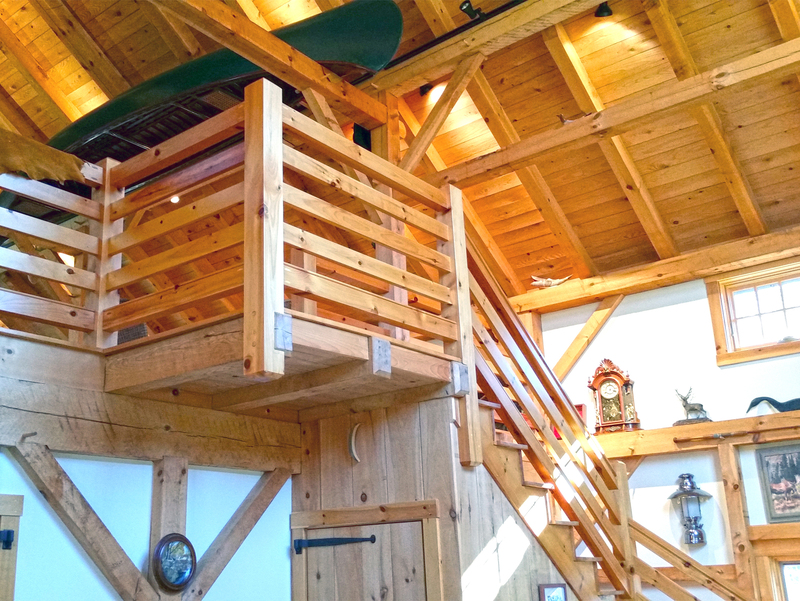 Lean-to style additions were a relatively easy and economical way to add space to a barn for cattle, implements or other purposes. 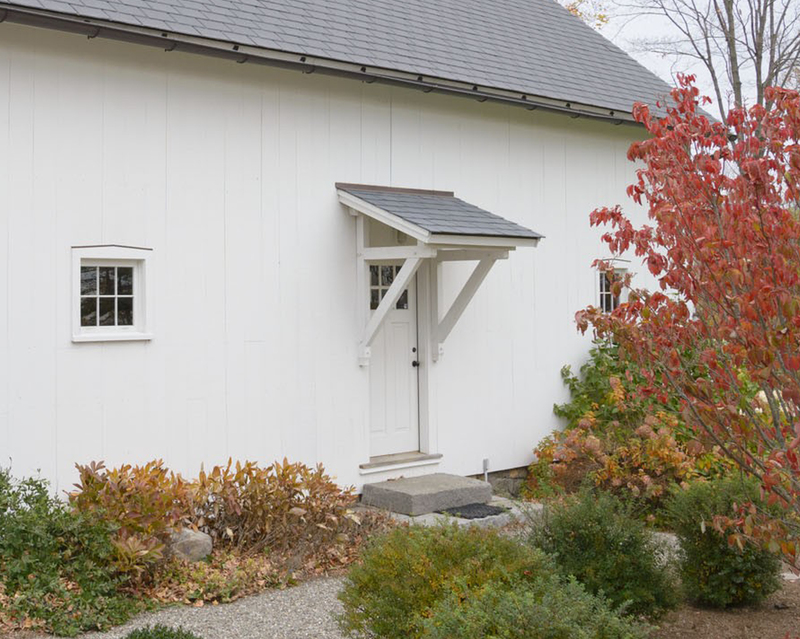 If built on a barn's eave wall with the shed's roof as a continuation of the main roof, the style became know as a "Saltbox" (true Saltboxes are said to have the shed addition face north). 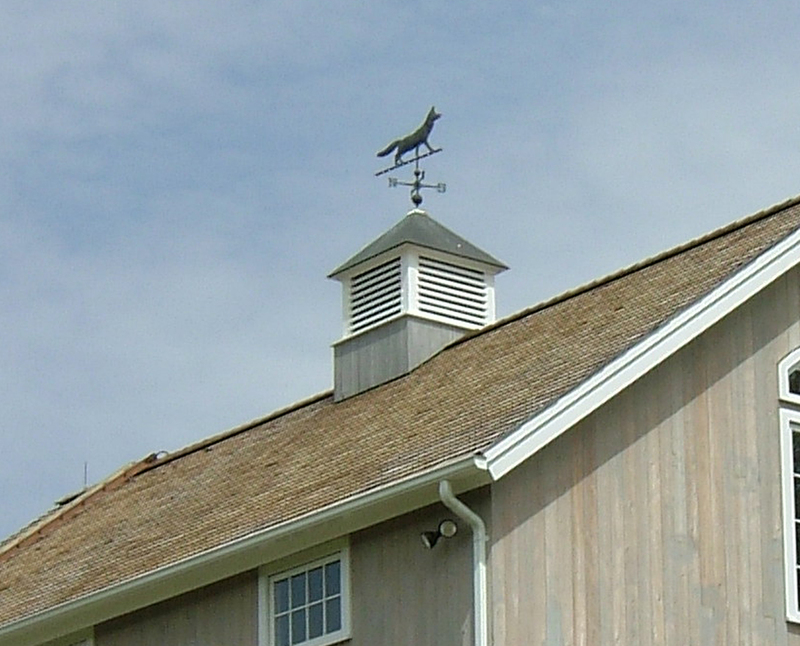 If the shed's roof pitch is different from that of the main barn's roof, it was called a "Broken Back". 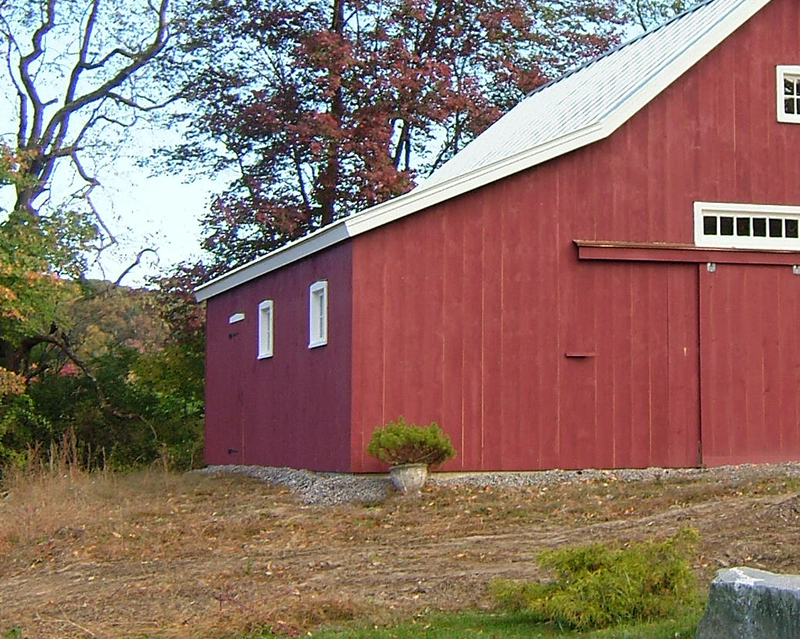 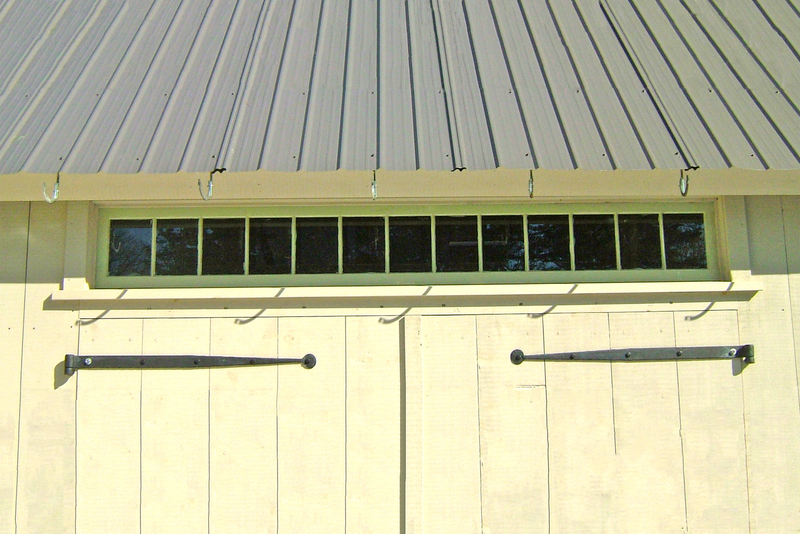 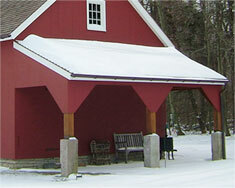 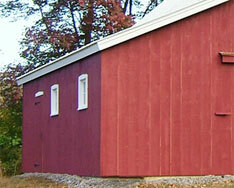 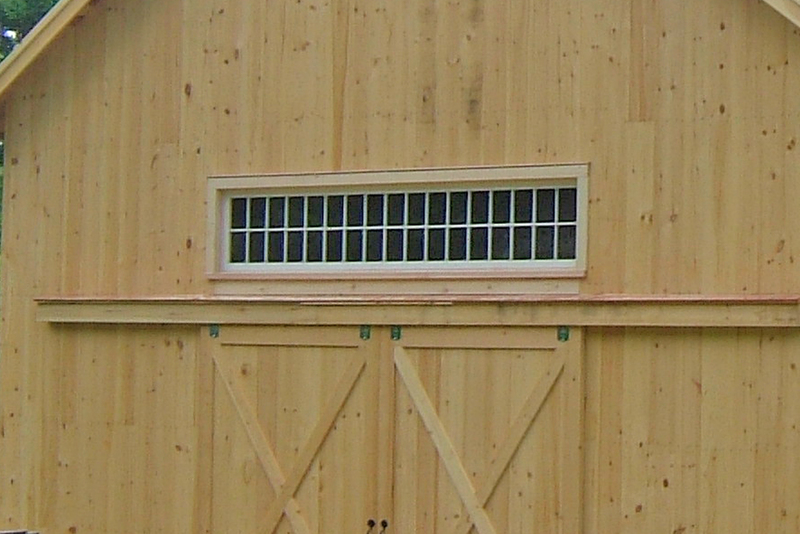 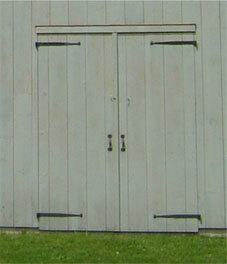 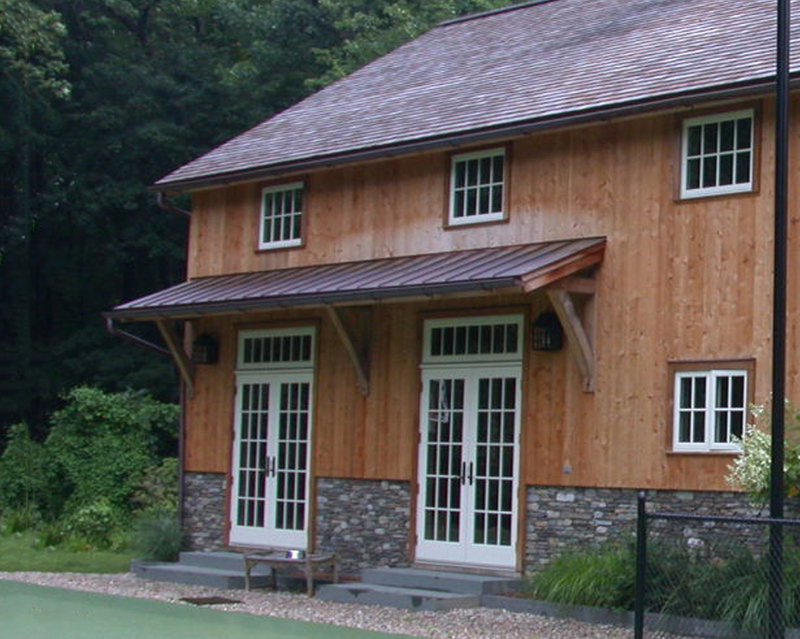 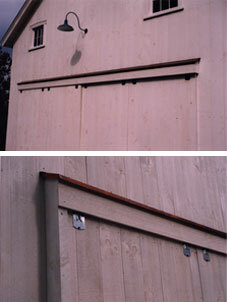 Gable-end sheds are also a convenient way of adding usable space to the barn structure. 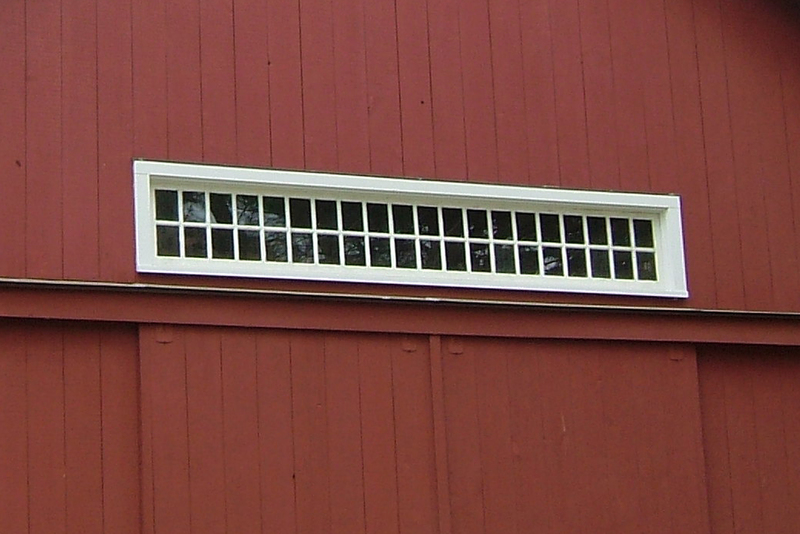 Some English and Dutch barns had a shallow, short roof projecting above the main barn doors to help keep out the weather. 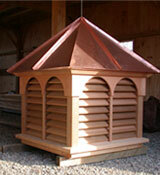 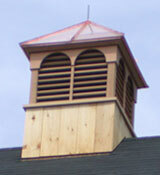 This is called a Pentice or Pent Roof. 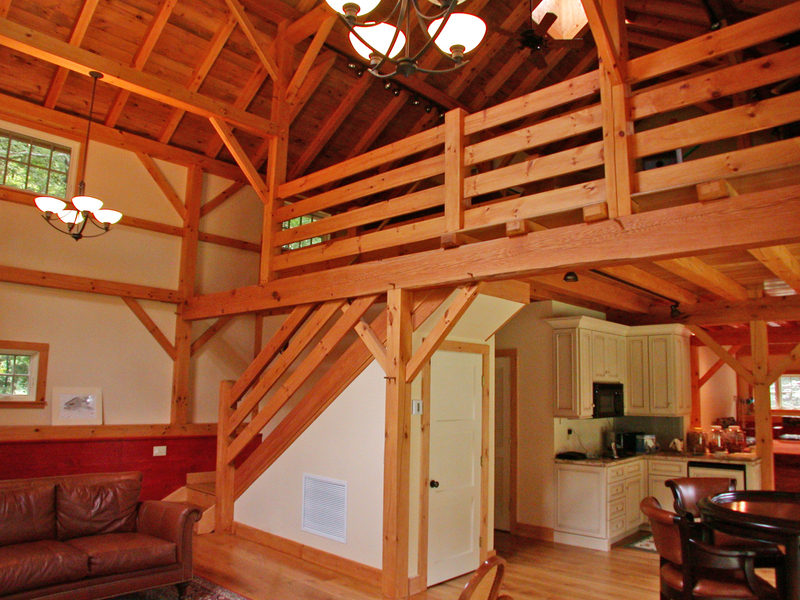 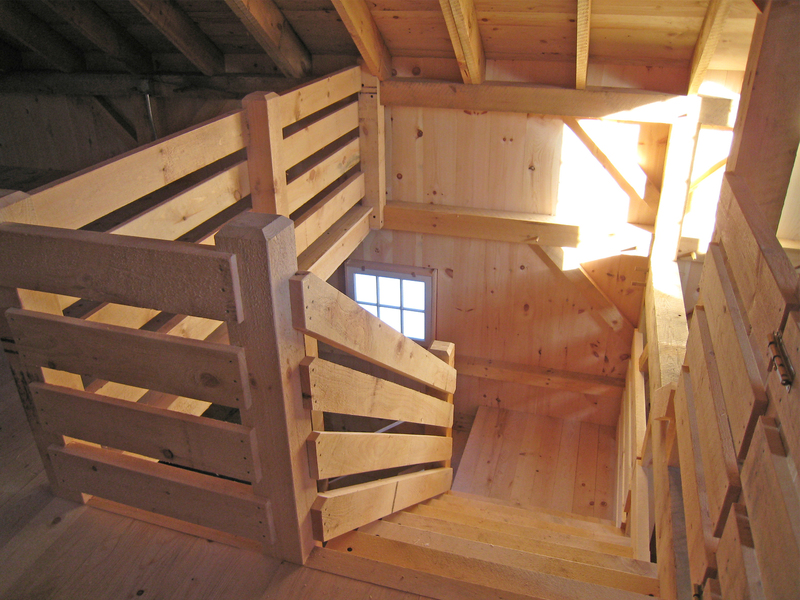 Depending upon the floor plan and use of your barn, our larger barn styles usually have room for a staircase to the loft area. 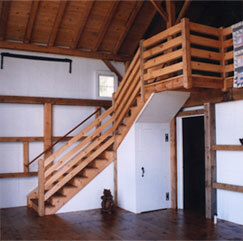 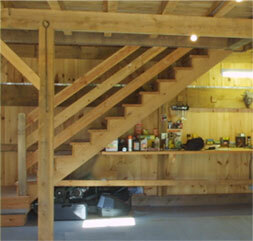 Early barn lofts were often accessed only by ladders (sometimes built right into the timber frame). 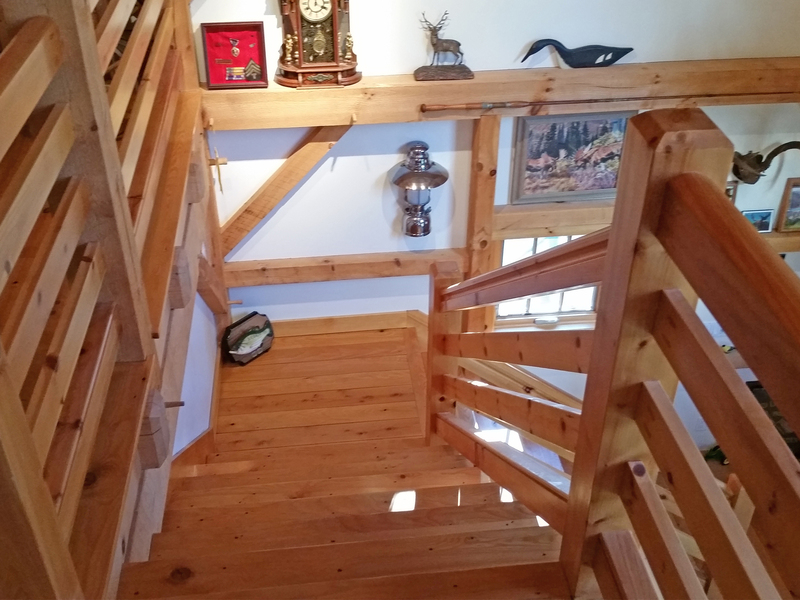 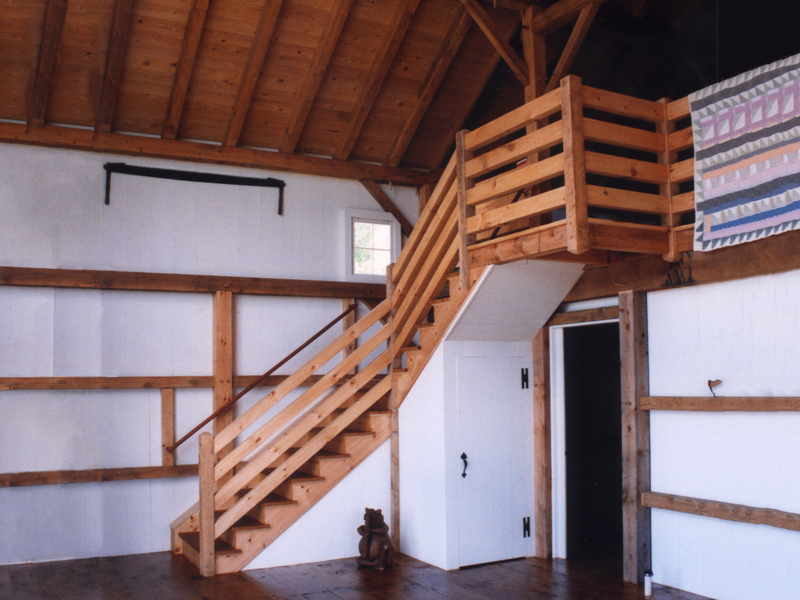 We recognize the value of incorporating an easy to use staircase that meets modern-day building codes as a functional improvement on your antique-style barn.